Welding gloves are one of the most important pieces of personal safety equipment that must be possessed by every welder. They protect the user from electric shock, harmful heat and flames, ultra-violet and infra-red radiation and from liquid hot metal spatter. 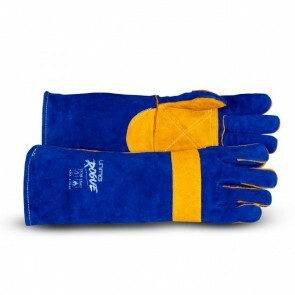 Gloves come in a variety of different grades and a variety of different materials of construction. 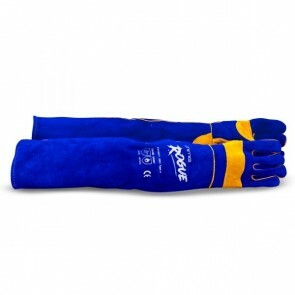 Heavy duty welding gloves are designed to take the most punishment and provide the best level of protection. 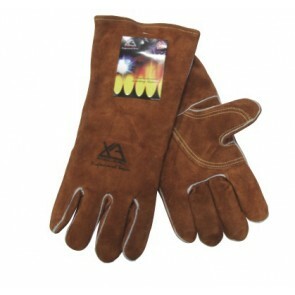 Leather is most commonly used for this professional welding glove. The trade-off of having greater protection from harm is that as the gloves get thicker control of, say, a welding rod becomes more difficult to control as the dexterity of the welder is reduced. 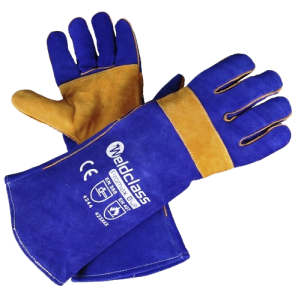 Heavy Duty Welding Gloves are typically constructed from the best quality leather available and will have extra reinforcement to allow them to be longer wearing. 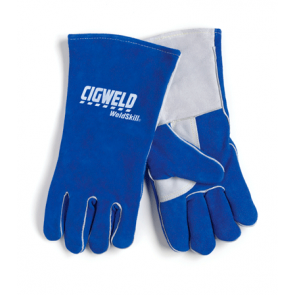 eWelders stocks heavy duty welding gloves from a number of different quality suppliers such as unimig, weldclass and cigweld and we ship Australia wide.